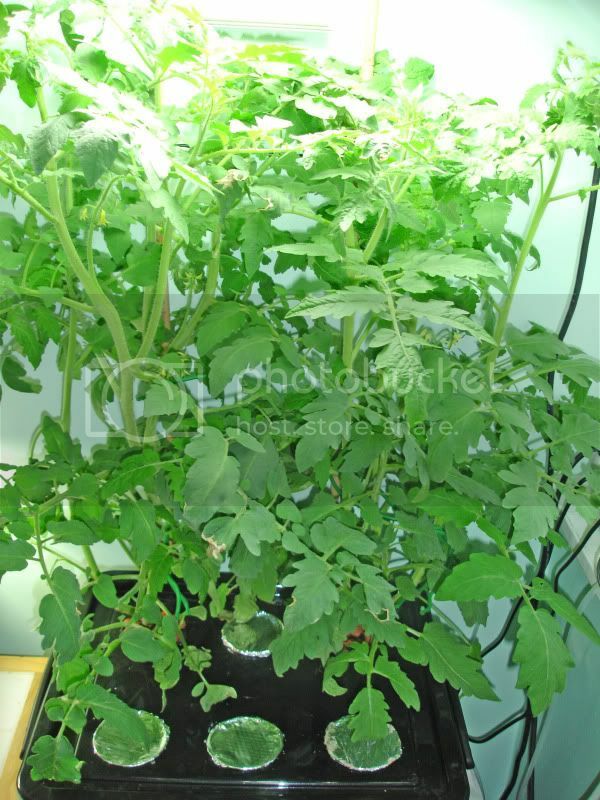 I'm going to grow Gardeners Delight Cherry Tomatoes in my DIY Aeroponics System which I built - see this link for the build details. 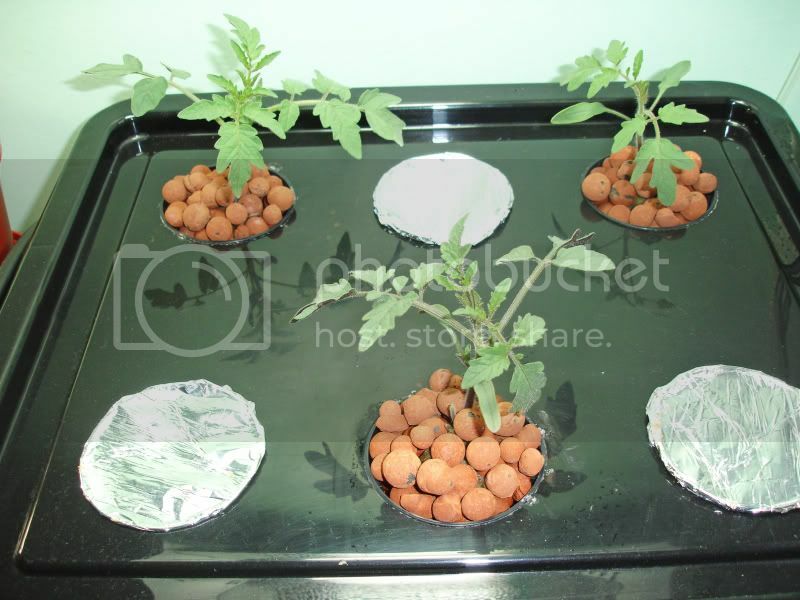 The seeds were planted direct into pH balanced rockwool, the whole rockwool cube was placed in the net pots and surrounded by hydroton clay pebbles. 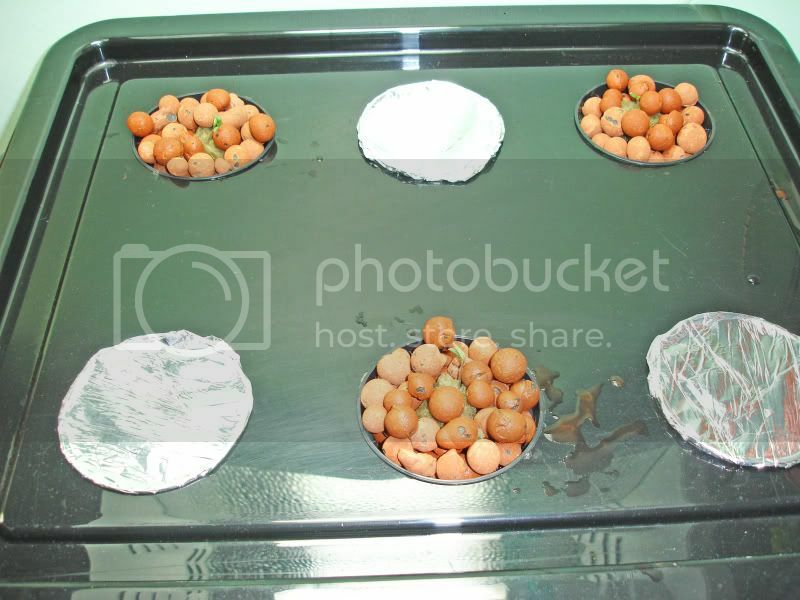 A gap was left at the top for the seedlings to get out (this will be covered by hydroton once the plant has emerged), AG domes were placed over the rockwool to aid germination. 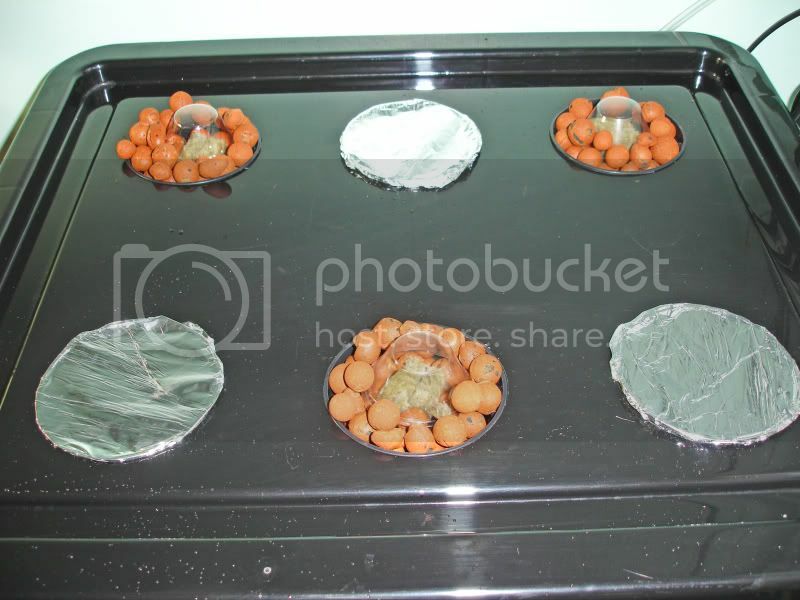 As usual, I'm not using the AeroGarden nutrient tablets. 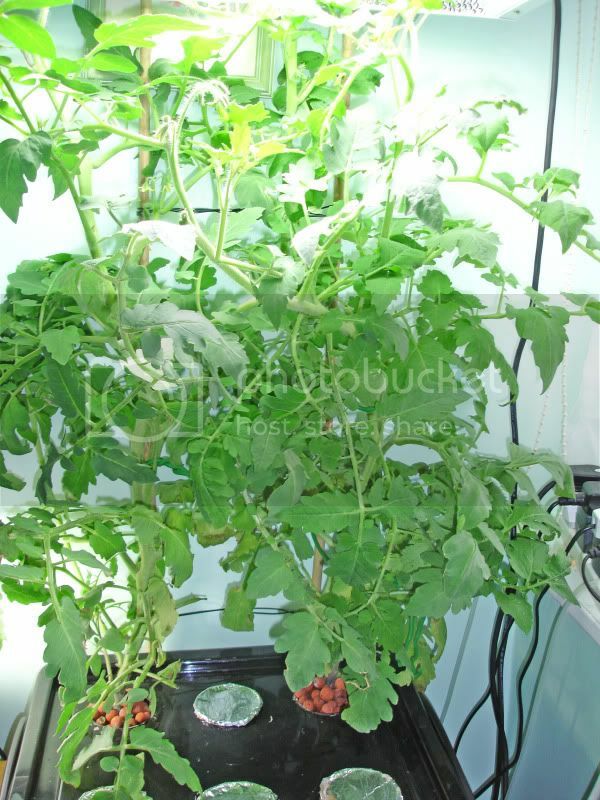 I am using the General Hydroponics Flora series, 3 part liquid nutrients (hardwater micro, grow and bloom). 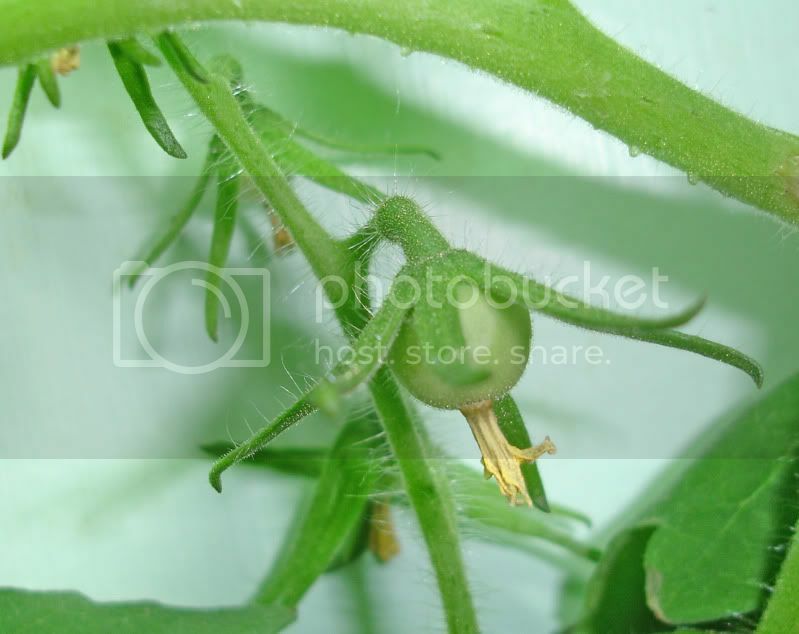 Really annoyed with the toms, another week would have seen the fruits turn red - to be destroyed at the last hurdle, grrrr. Ooh, I forgot about your tomatoes. Can't wait to see this rig back in action! 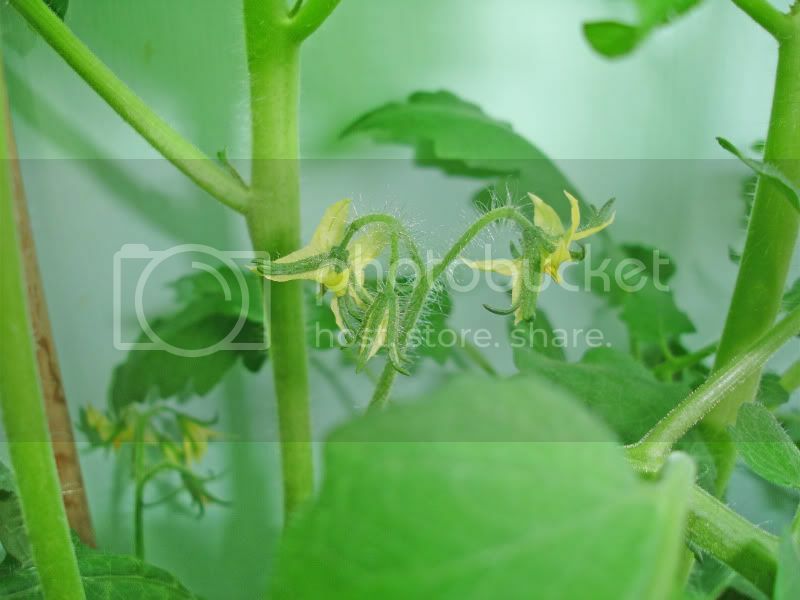 Looking forward to that cuke grow. Sounds promising! It will be used sometime in the future, I went on to build other things and it took a back seat. 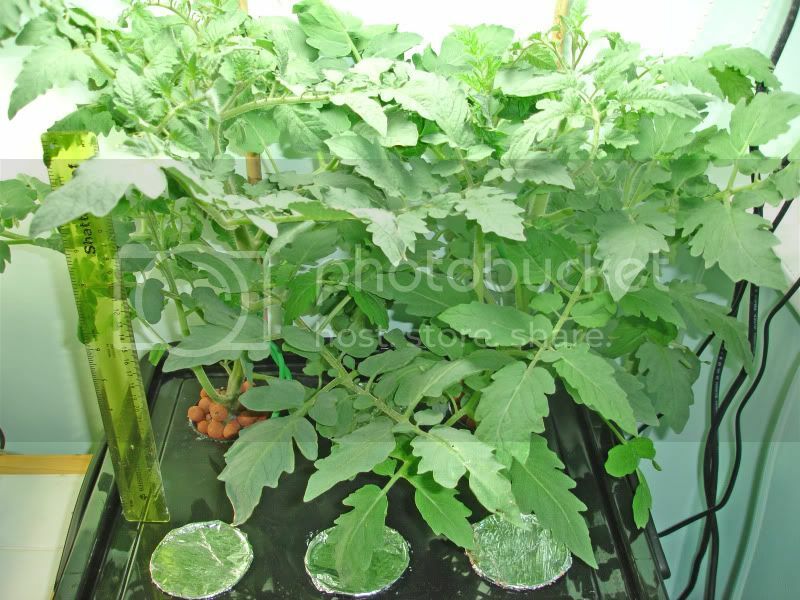 I will use it again for said cucumber, it will be grown under the UFO with FloraMato again - I don't want to be beat yet on the cuke front and I'm hoping this unit will do the job. I'll have to get another timer though, I'd rather cycle the sprayers than keep them on 24/7, it seems to be the better way according to other sources. 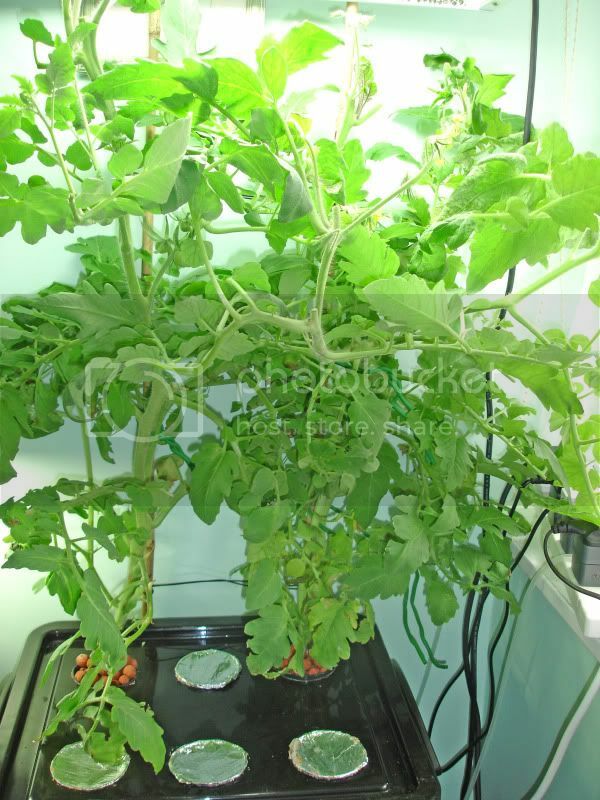 Sorry about the dishtub cuke, they do seem to be particularly tricky to get grown. 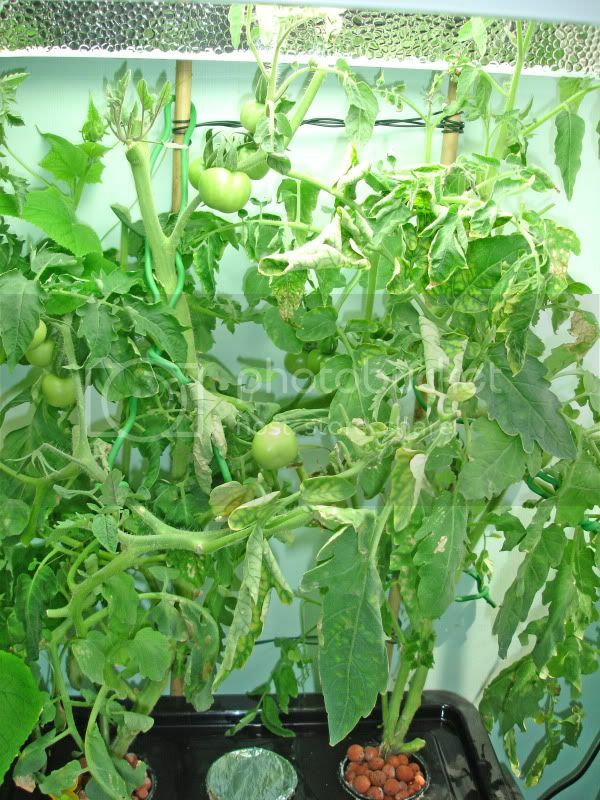 Have you used this aeroponic system again? It seemed very promising. 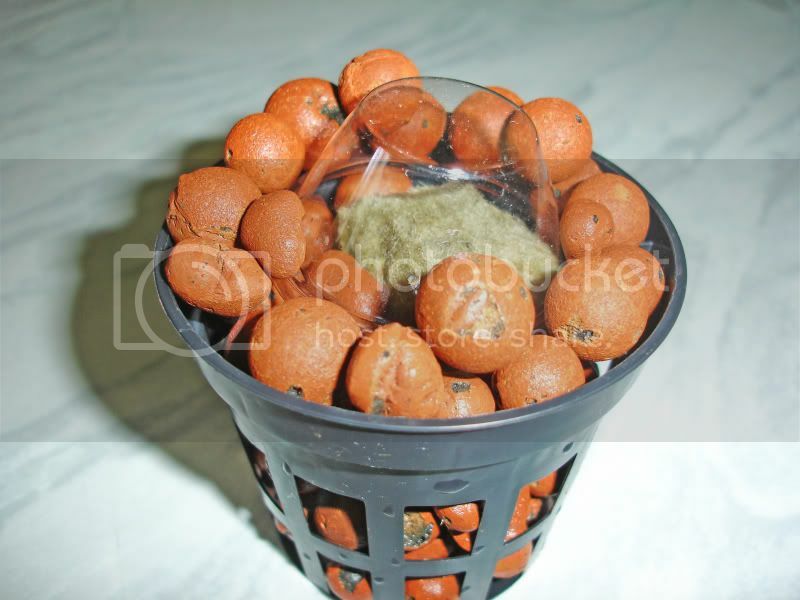 I saw some aeroponic potatoes on a TV show a couple nights ago. They were very cute. I was wondering if cucumbers might do better that way. With a nice long timing between squirts. Huh. Somehow the end of your message got lost. 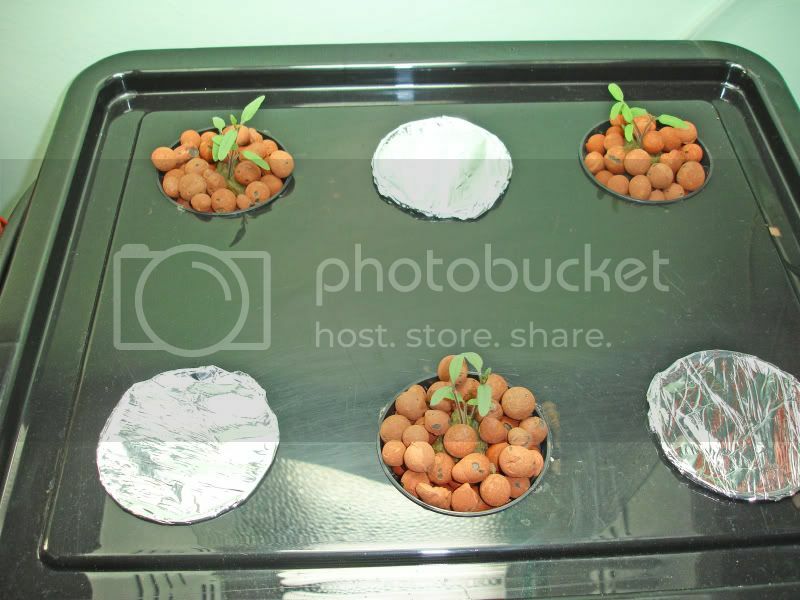 I haven't compared the add-to-soil nutes to the hydroponic nutes, no. I assumed the add-to-soil ones don't have all the micronutrients needed, just NPK. I have had some problems with my EC meter. I thought I had fixed them as when I added nuts the EC rose as I woud have guessed. I have had another go at calibration and I have made some changes. In practise I dont really think the actual number matters as tip burn is the real heads up. However if talking to others then the calibration matters. I have just started with aero and I am astonished with the results. 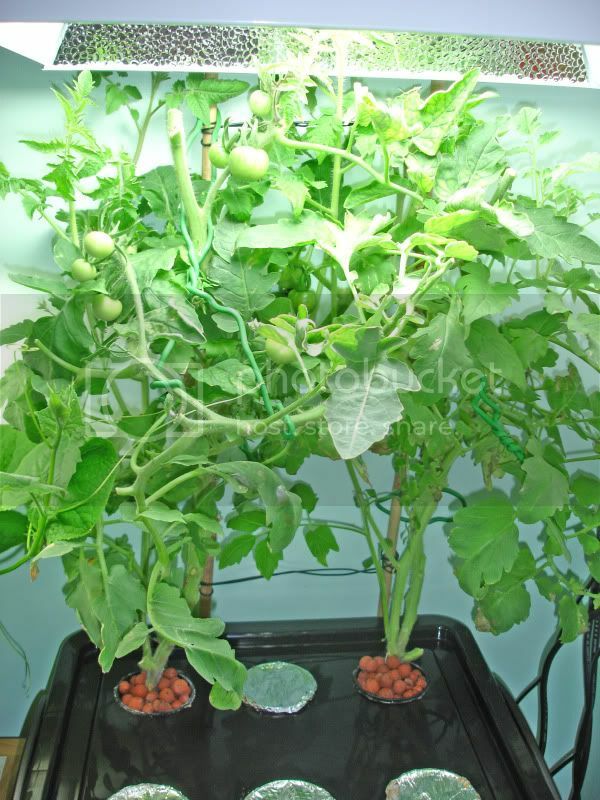 Have you compared standard liquid feeds as bought in the local garden supplier and the rather expensive hydro nutrs from specialist hydro suppliers. Hi, Hengis! Glad the nute change helped your lettuce. EC of 7.1 without tip burning.... I'm wondering if you're using the same measurement scale as the rest of us are. I think tomato EC is supposed to stay down around 2.4! I wouldn't gunk up the machine by putting sugar in the nutrient solution. Much more likely to breed disease and ruin the plumbing than to sweeten the tomatoes. 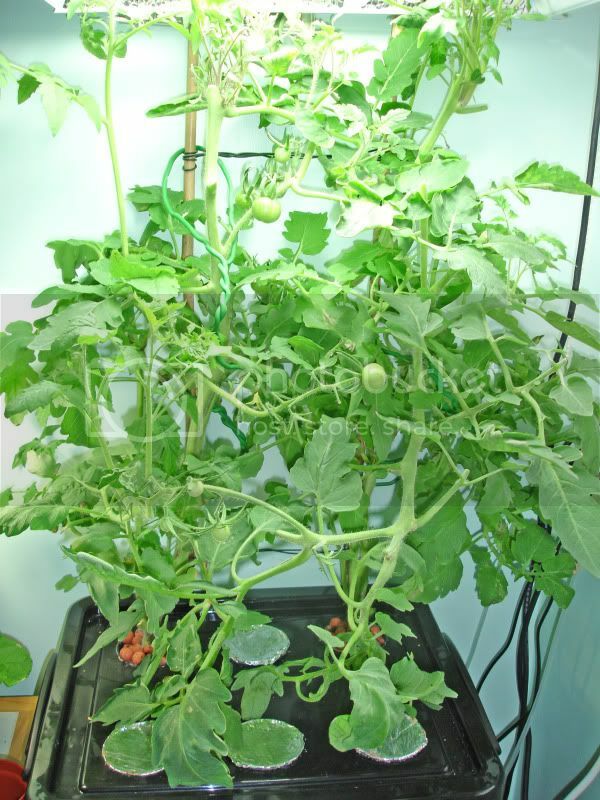 Keeping the pH on the high side for tomatoes (like 6.5) might sweeten them, though - less acid. Thanks gisette. Changed the nuts as you suggested ans so far so good. 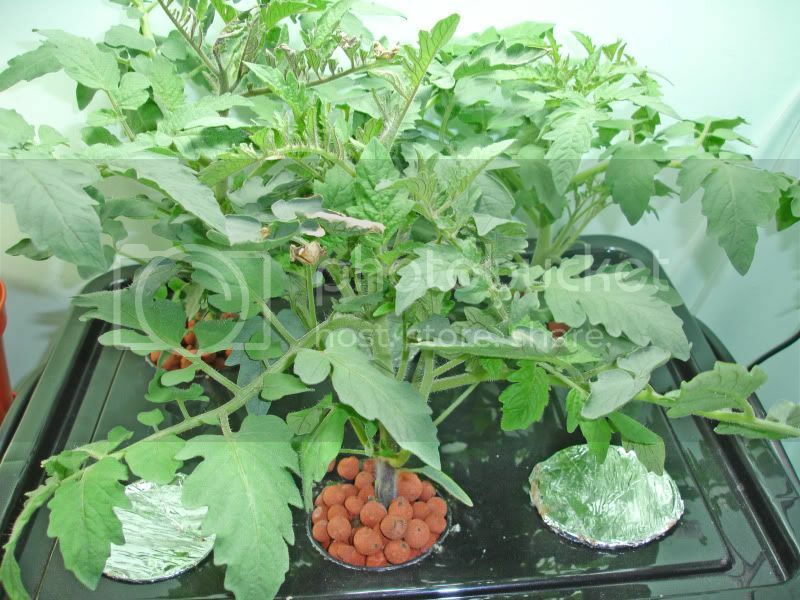 I had been growing toms in the same unit with much higher EC up to 7.1 without tip burning. 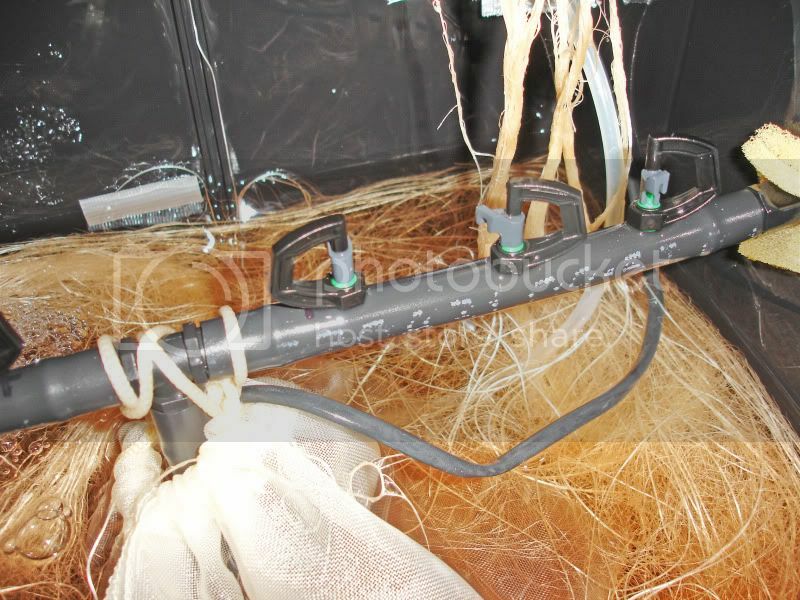 Aeroponics are/is good fun. The plants seem to grow fast BUT if things go wrong they go wrong fast. Toms are very resiliant although I am still to taste some. Perhaps my toms will repay me for the torture by tasting bad. A question If I feed sugar a week before cropping will the toms taste sweeter? On the lettuce, are you keeping the EC down around 0.8 to start (or less)? In a 3/2/1 grow/micro/bloom proportion? Lettuce can't cope with high nute levels - after they're 2-3 weeks old and established, you can go up to 1.7 EC or so. Lower if you don't want to top with water every day.